There is actually no better time for the launch of a blog than a cold winter day next to a hot chocolate.. It’s valentine’s day and my thoughts don’t belong to a valentine most people are thinking of. No, my thoughts are all about my new little baby. Welcome to the hidden closets where you can find the pieces you are dreaming of but nowhere seen in your own closet (sadly my daily discovery). 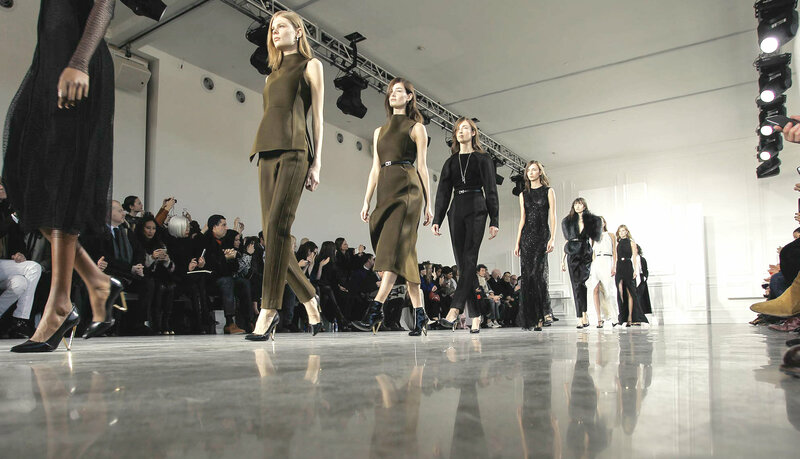 I’m going to start it all with the Jason Wu show. New York fashion week is calling and I know I’m a bit late. But better late than never right? So he’s preparing us for fall, winter 2015 in his best way. Combining fur with our loved military green we will stay warm for sure. If you are looking for your inner diva to come out, this collection will give you the opportunity. I can only say: Great job Mister!